Made entirely of aluminum, cell phone lockers can be surface mounted or recessed mounted and can accommodate cell phones, keys, tablet PC's, wallets, cameras, e-readers and other valuable items. 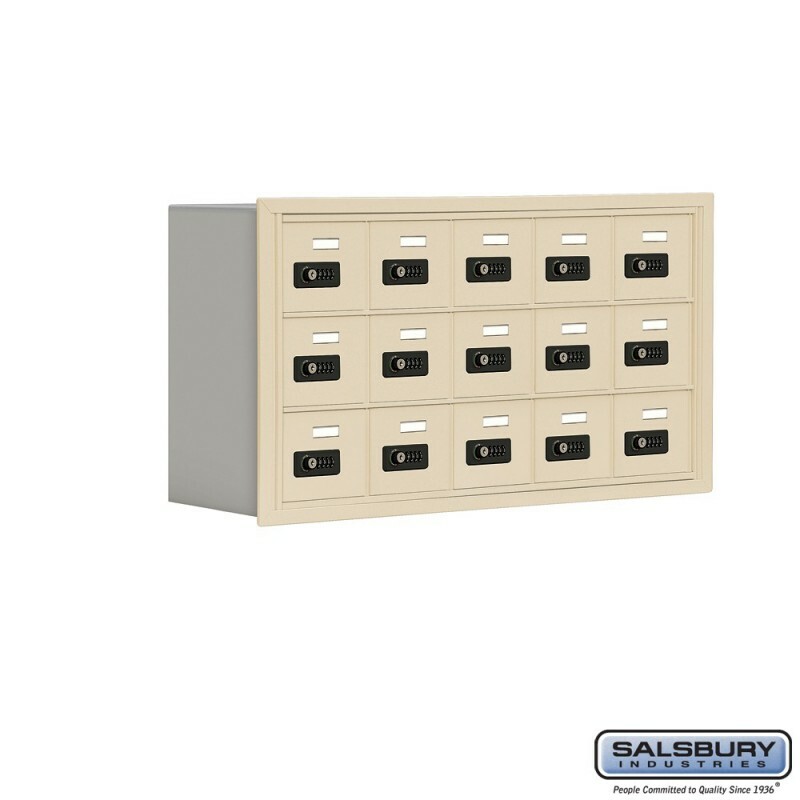 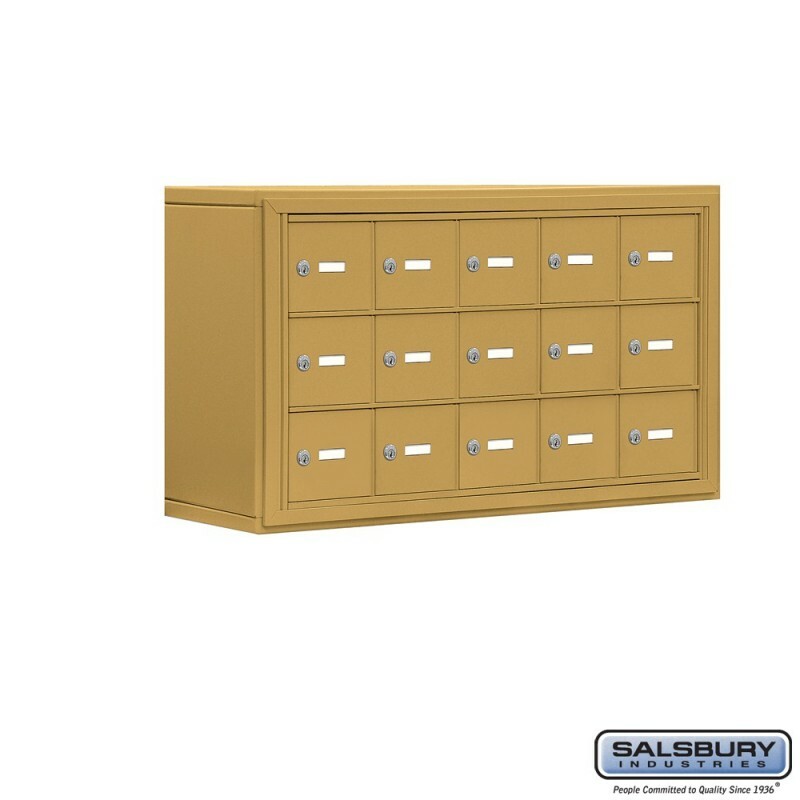 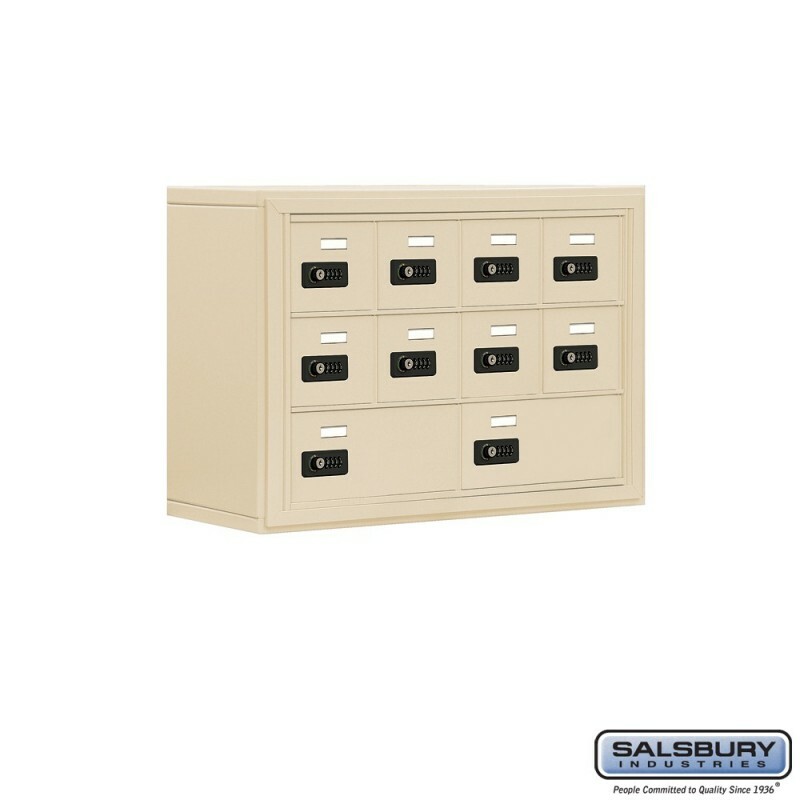 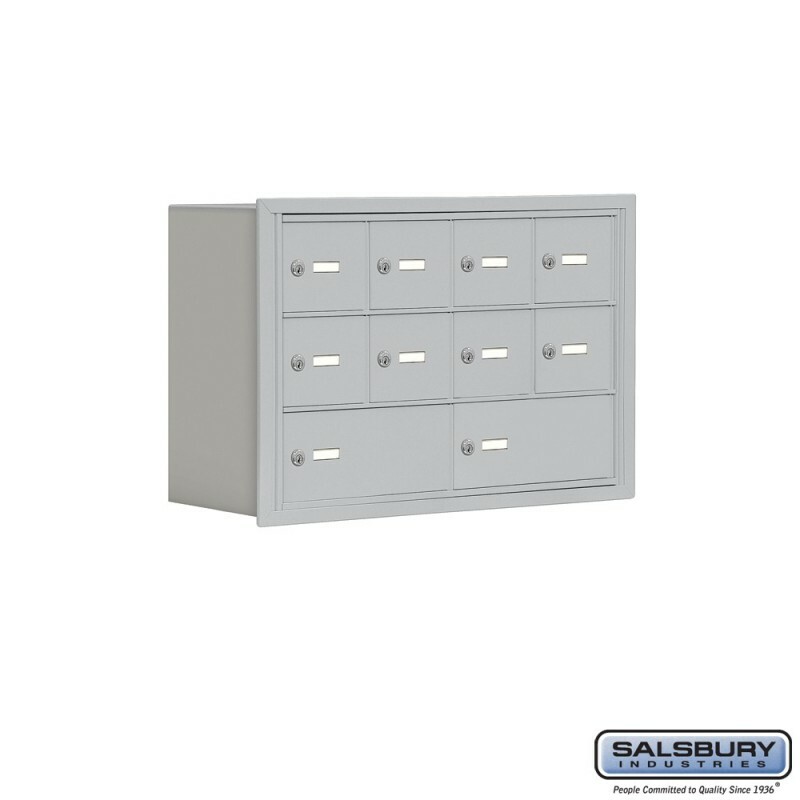 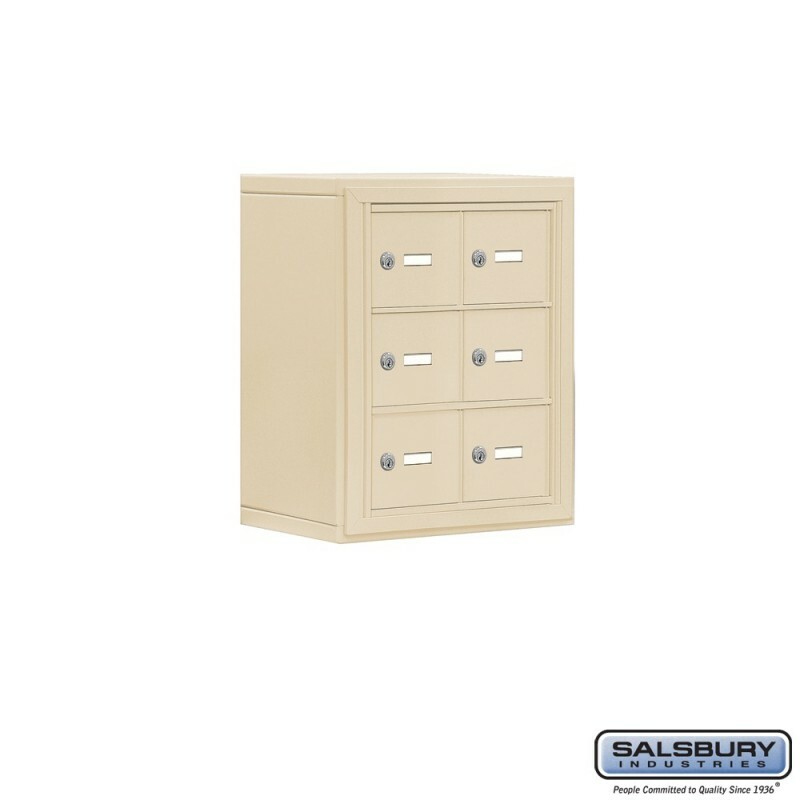 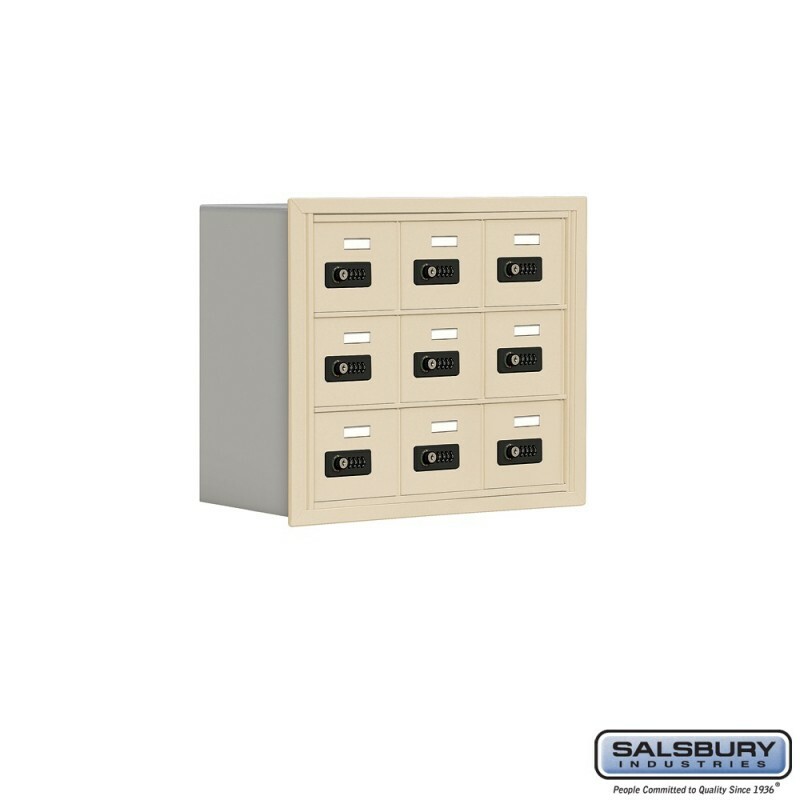 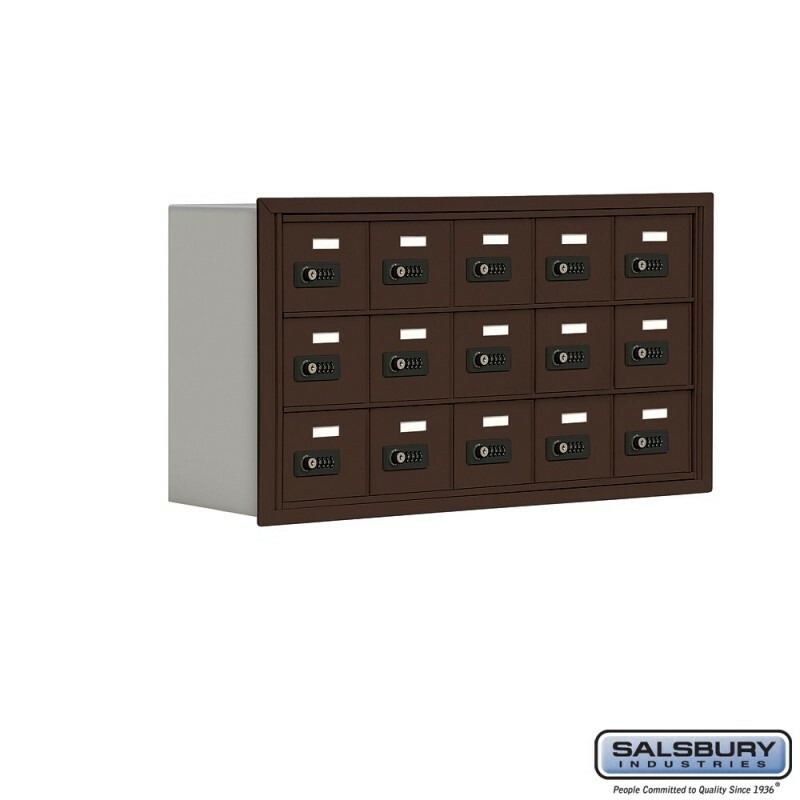 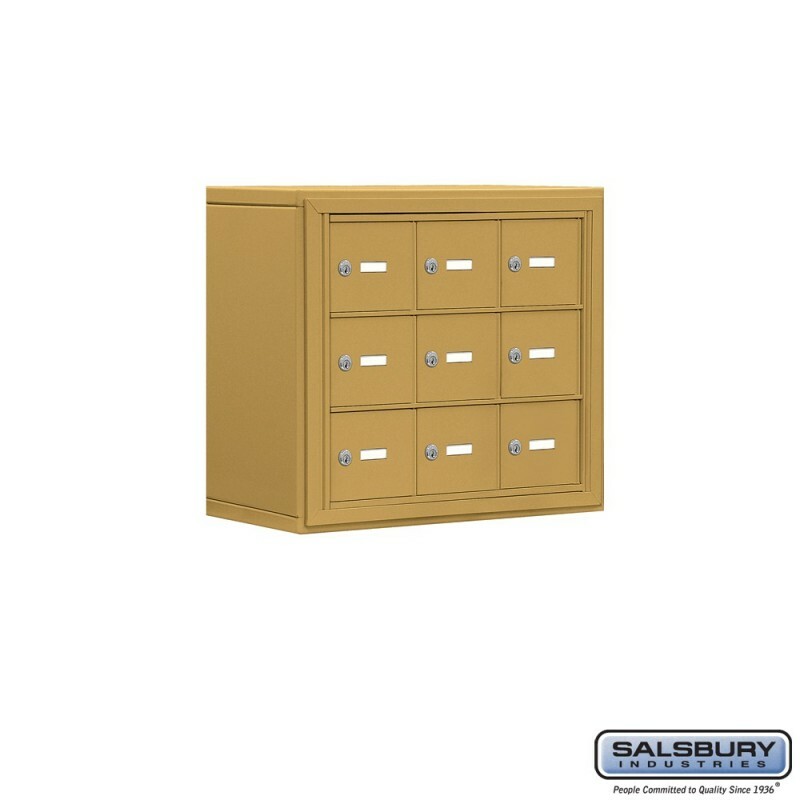 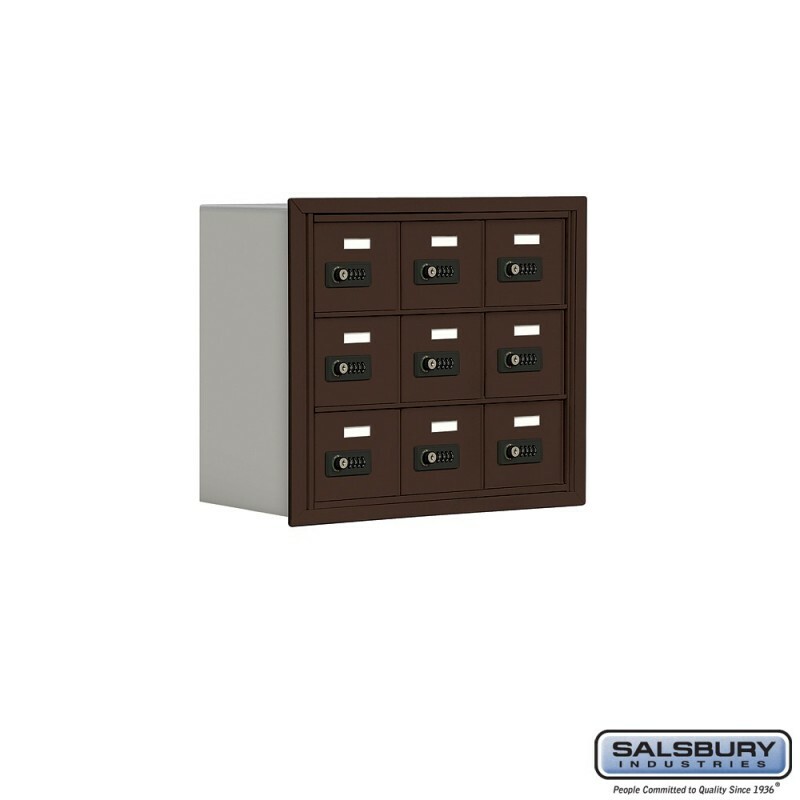 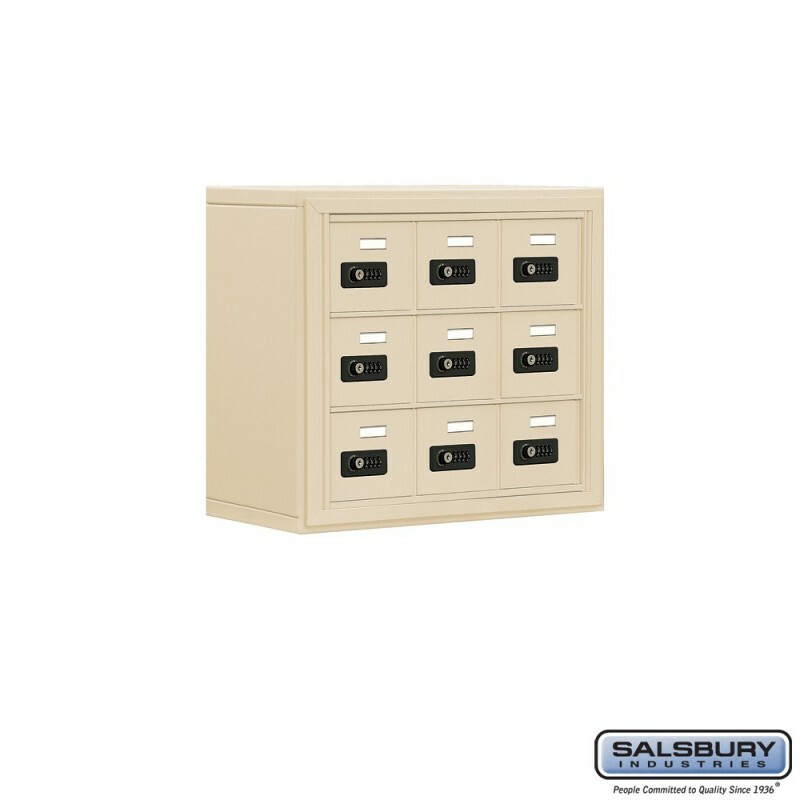 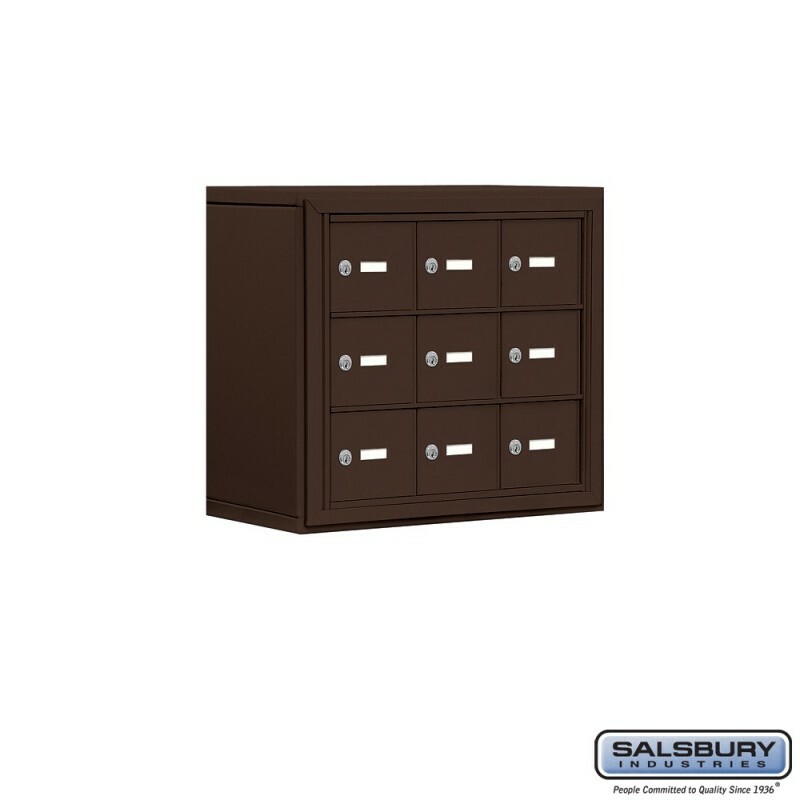 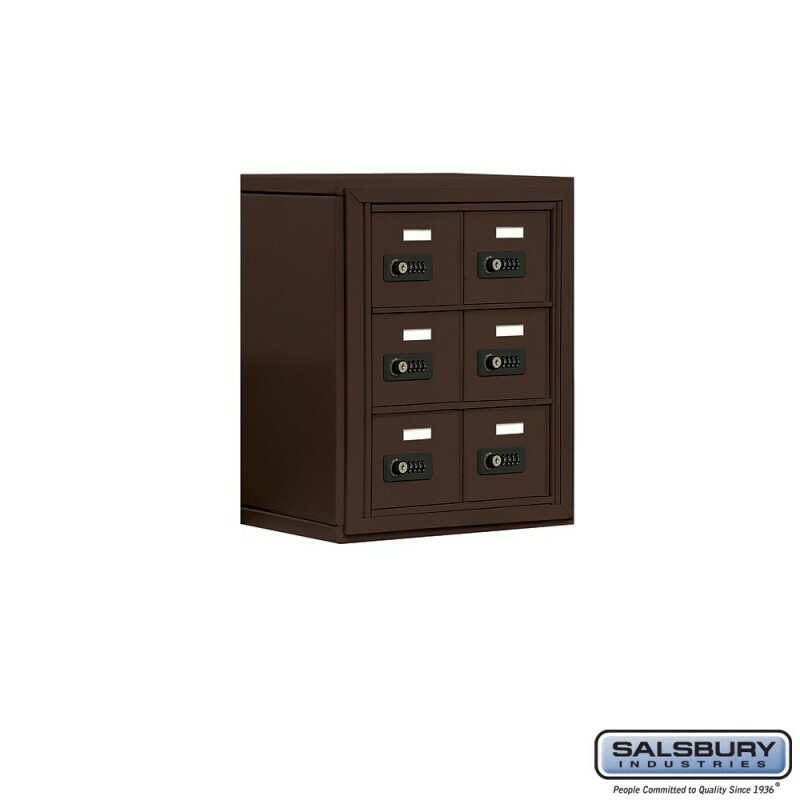 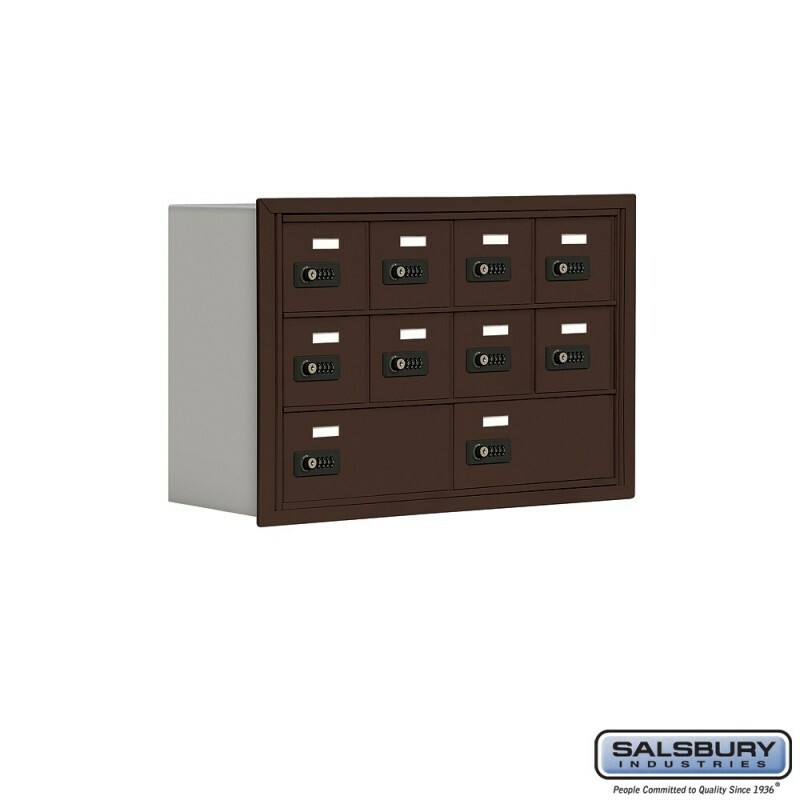 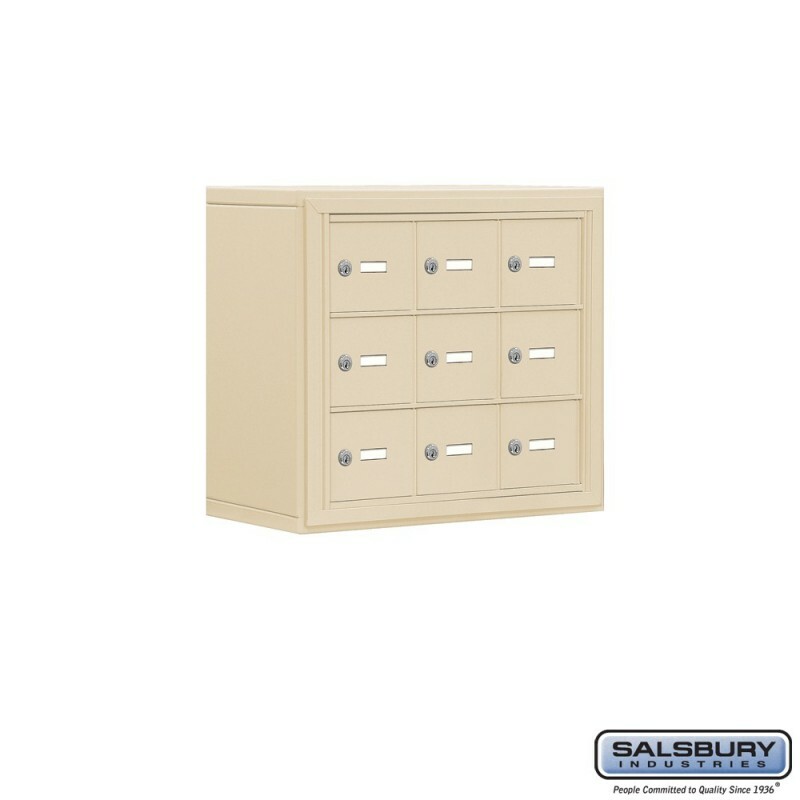 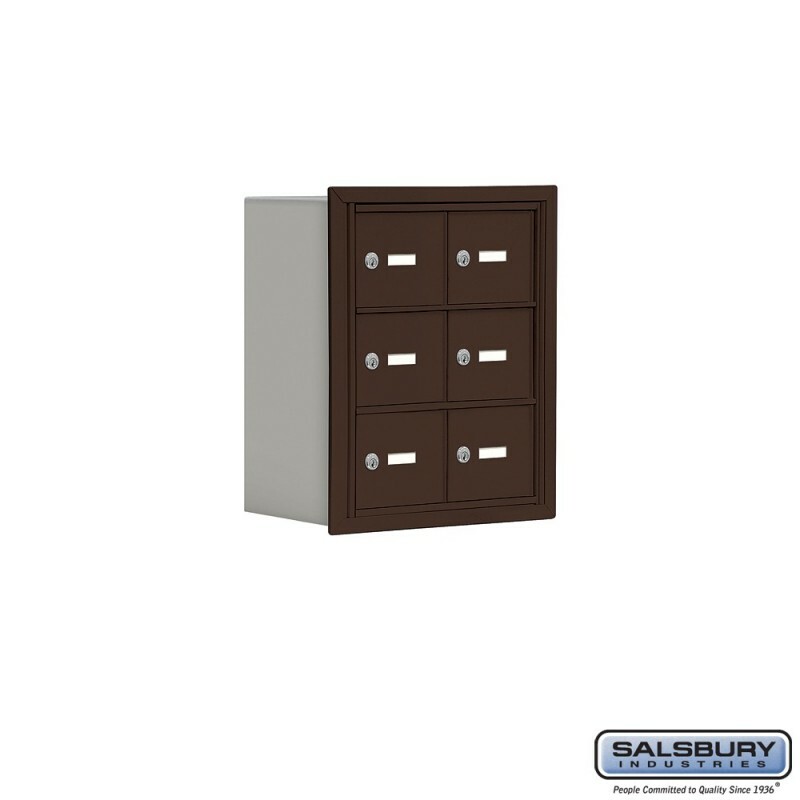 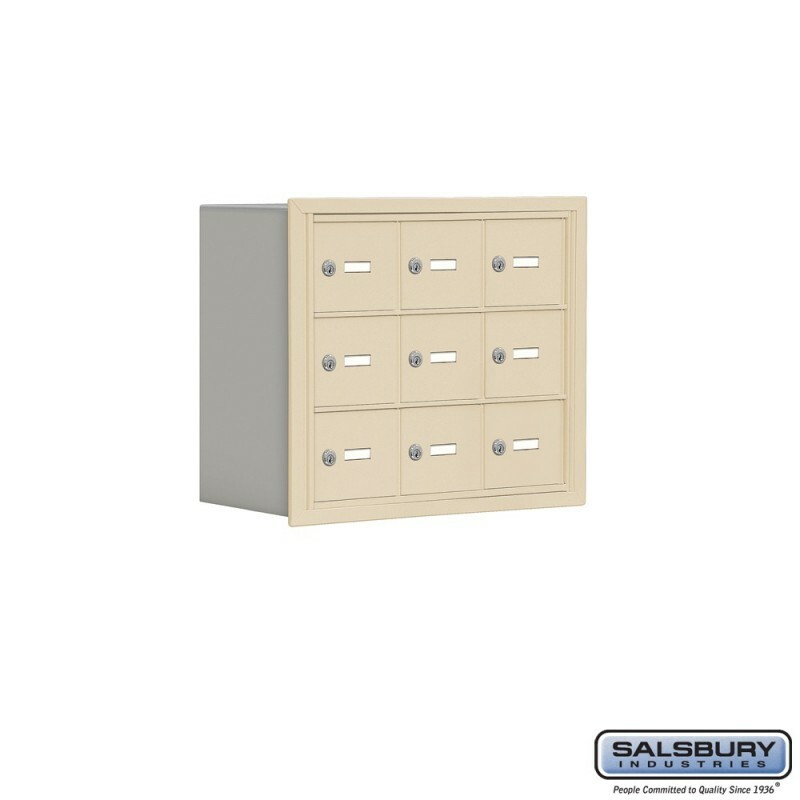 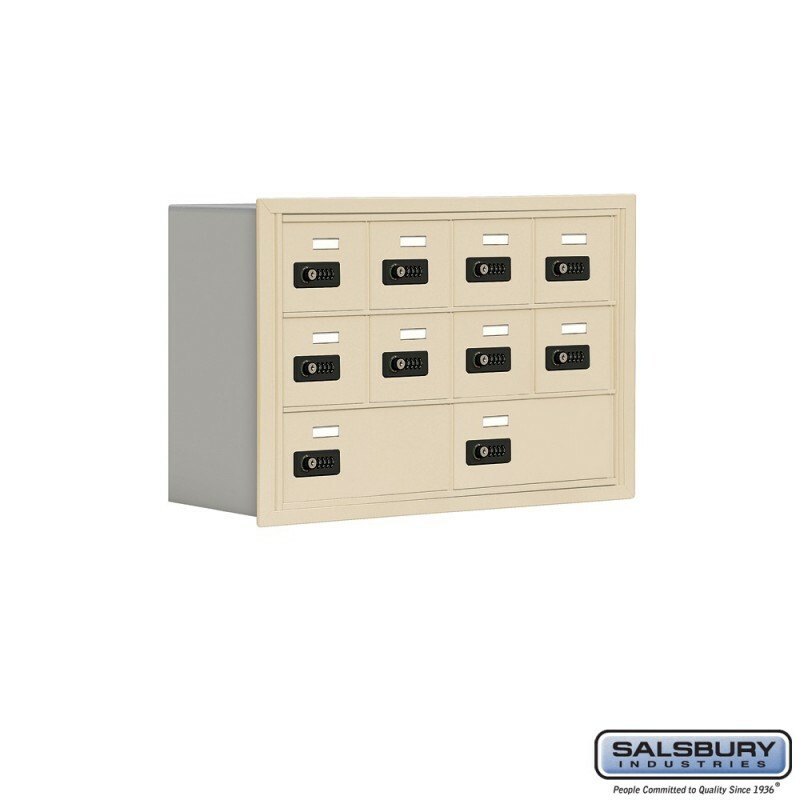 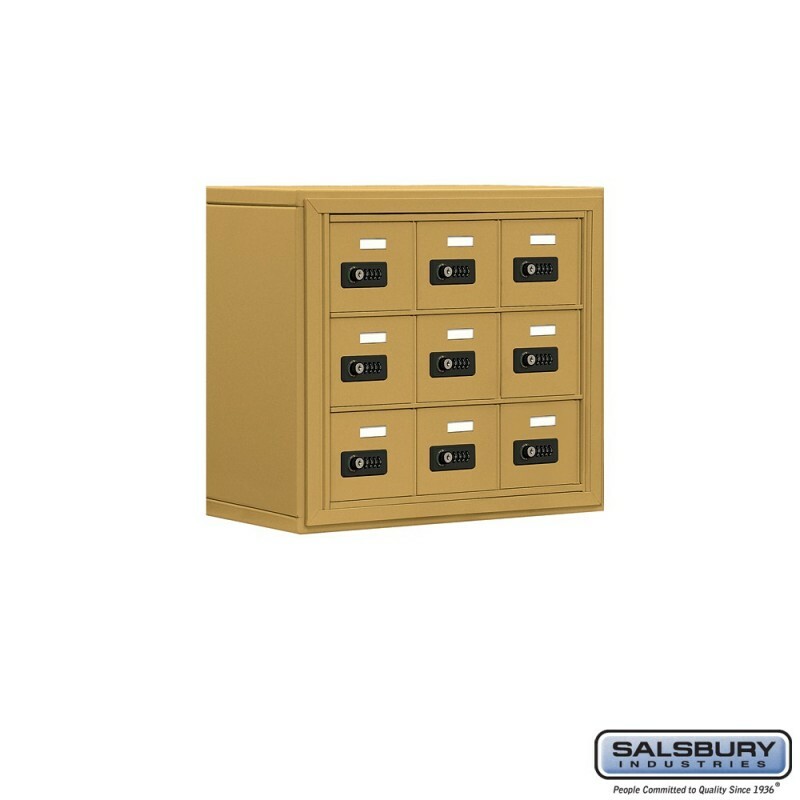 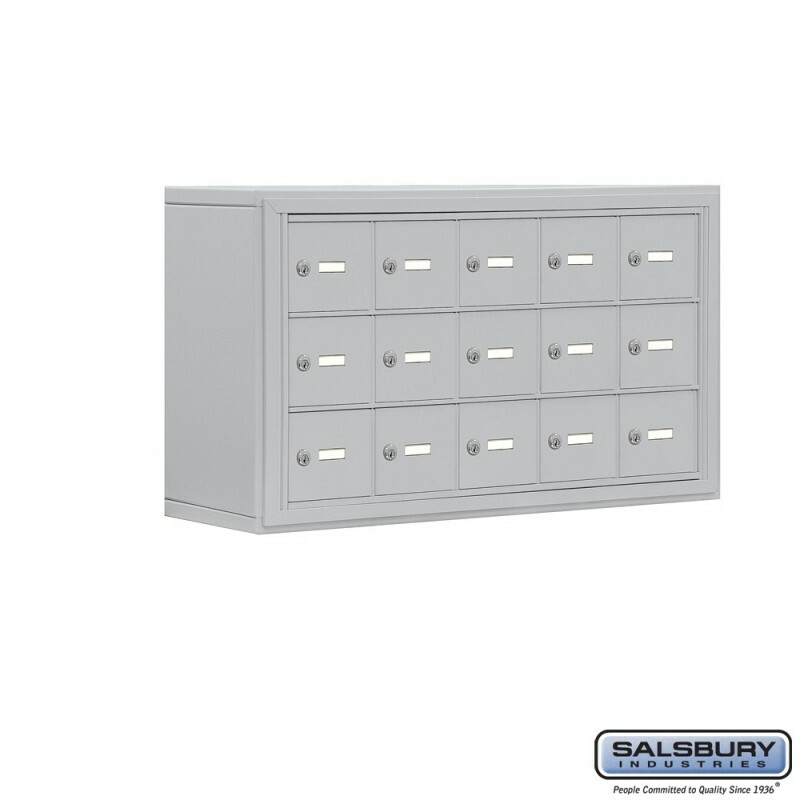 Salsbury 19000 series cell phone lockers and Salsbury 19100 series cell phone lockers with front access panel are available in 5" and 8" deep compartments. Both series include master keyed locks or resettable combination locks and are available in three (3), four (4), five (5), six (6) and seven (7) doors high and two (2), three (3), four (4), and five (5) doors wide with standard A doors (6-1/2" W x 5-1/4" H) or larger B doors (13" W x 5-1/4" H). Each cell phone locker door includes a 2" W x 5/8" H clear plastic cardholder (card included) to identify the compartment. 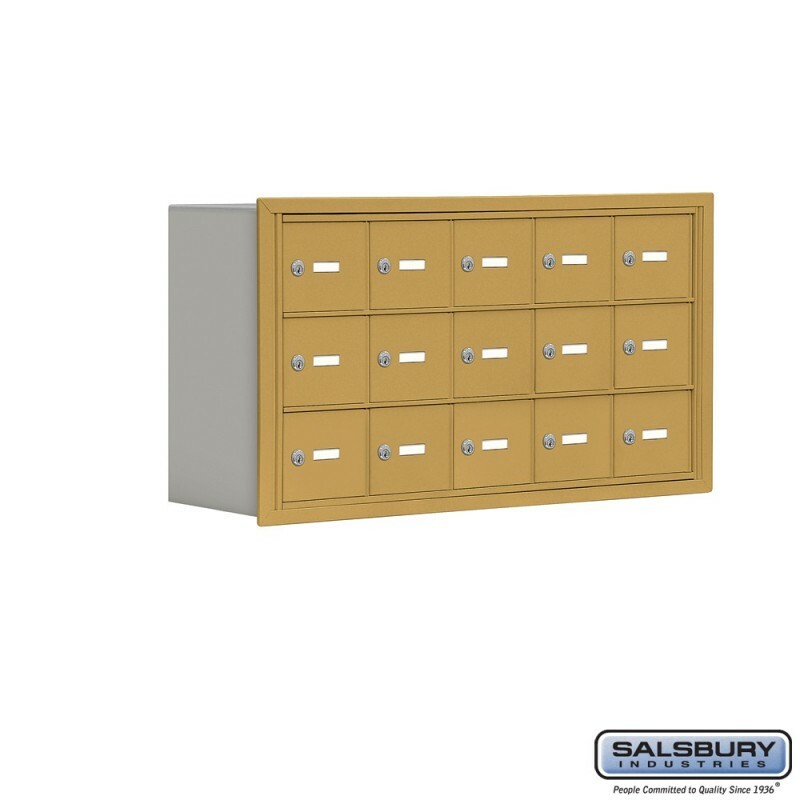 Cell phone lockers feature a durable powder coated finish available in four (4) contemporary colors.